Even as the Government of India has chosen nine more cities to make them "smart", a top data analysis site has revealed that less than a quarter of central funds for four major national programmes for India’s urban renewal have so far been either sanctioned or used. The nine cities, taking the total to 99, are -- Bareilly, Moradabad and Saharanpur in Uttar Pradesh, Erode in Tamil Nadu, Bihar Sharif in Bihar, Silvasa in Dadra and Nagar Haveli, Diu in Daman and Diu, Kavarati in Lakshadweep and Itanagar in Arunachal Pradesh. The analysis by Alison Saldanha says, the available data show that just about 3%, or 23 of the 642 projects of smart city projects, valuing Rs 305 crore (of Rs 38,021 crore available) were completed as of February 2017. It adds, "Work on another 65 or 10% of projects valued at Rs 2,737 crore had just begun. 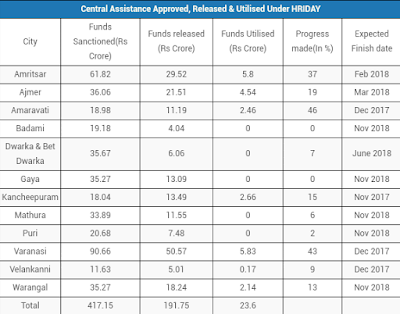 Of the remaining, 554 (86%) projects were at various stages of implementation." The analysis says, "For 2017-18, the Centre’s budget for the Mission was Rs 4,000 crore. Up to March 2017, 80% or 32 of 40 smart cities that had received central assistance, had not received matching funds from their respective state governments." These 32 cities are from Andhra Pradesh, Assam, Bihar, Chandigarh, Chhattisgarh, Delhi, Gujarat, Haryana, Himachal Pradesh, Jharkhand, Kerala, Madhya Pradesh, Maharashtra, Punjab, Rajasthan, Telangana and Tripura. 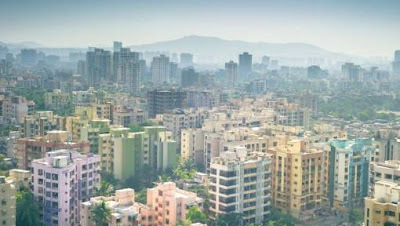 Pointing out that things are no better for other urban schemes, the analysis says, the only 13% of the Rs 50,000 crore budgeted under the Atal Mission for Rejuvenation and Urban Transformation (AMRUT), the successor or the UPA's Jawaharlal Nehru National Urban Renewal Mission (JNNURM), had been released as of July 2017. AMRUT aims to develop basic urban infrastructure, with a focus on water supply, sewerage, septage management and stormwater drains, even as funding urban transport, green spaces and parks. It is being implemented in 500 cities and towns nationwide, including state capitals, and 12 heritage cities. Referring to the 12 heritage sites, the analysis says, "Up to July 2017, 95.4% of central funds sanctioned for upgrading 12 heritage cities were unused, as the programme’s November 2018 deadline approaches". Being developed under the Heritage City Development and Augmentation Yojana (HRIDAY) programme, as of July 2017, "no more than 5.6% of Rs 417 crore sanctioned had been used." Launched in January 2015 with a Rs 500 crore budget and November 2018 deadline, the programme hopes to develop 12 selected heritage cities across India: Ajmer, Amaravati, Amritsar, Badami, Dwarka, Gaya, Kanchipuram, Mathura, Puri, Varanasi, Velankanni and Warangal. 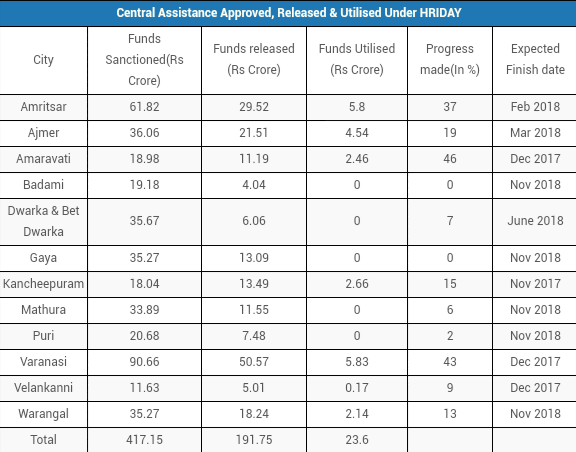 However, the analysis regrets, "In nearly half or five of 12 cities -- Badami, Dwarka and Bet Dwarka, Gaya, Mathura and Puri -- none of the funds sanctioned had been used." Coming to urban housing, the analysis says, "With four years left to its target date, 16% of 3.2 million houses for the urban poor were cleared for construction and no more than 6.5% had been built, and foundations had not been laid for 55%", adding, "Since its launch in 2015, the ministry has so far released Rs 12,045 crore, or a quarter of the Rs 49,562 budgeted, to states and UTs for 3.2 million houses."